Day Off! How Lucky I am! Today is a day off to for me. I'm taking advantage in order to write in English. First, I want to say that your (our) website is better in and better. It's true! Every time I log in, I find improvements. I still like spending time to just reading your advice. I'm sure, it procure means you work too much, but the results are extraordinary. Following my letter, I'll make a little donation. Why? As all work merits recognition, I'll do so in function of relation to my means! I'm sure, to bring it provide this site, you have a lot of fees. At time Right now, I'm looking for a linguistic trip abroad. If you are able to give me suggestions, I'd appreciate them. 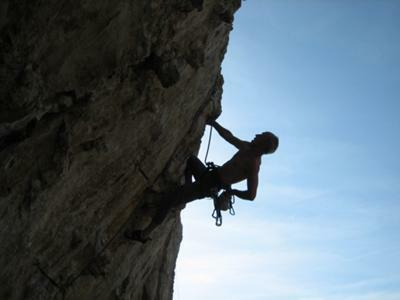 Now, I am preparing a climbing trip thought 'Catalogne and Aragon', with some Spanish friends. I wish hope you have a happy Easter. Hi Dan, Thank you so much for your generous donation! This site does have fees and it is so kind of you to help contribute to keep this site alive. I'm sorry that it took so long for me to edit your story. My back has been very bad lately (very painful...I think I have a pinched nerve). I am starting to get better now so I now have time to work on the website. How was your climbing trip with your Spanish friends? I hope you enjoyed yourself! As for planning your trip abroad what sort of advice do you need? Location? Schools? Flights? Send me an email with details and I will be happy to help you.